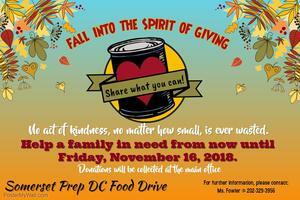 Somerset Prep DC PCS Closed for Today - Tuesday October 23, 2018. Join the Somerset Family on Sept. 11, 2018 from 6 - 7:30pm for Middle School Back to School night and also on Sept 13, from 6 - 7:30pm for High School Back to School Night. 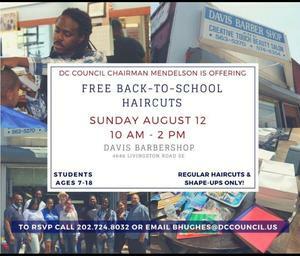 Come and meet your Teachers, Tour the School. 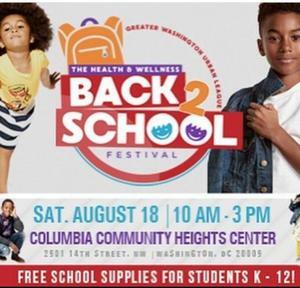 The Health and Wellness Center is organizing Back 2 School Festival and offering FREE SCHOOL SUPPLIES at the Columbia Community Height Center on Saturday August 18 2018, from 10am to 3pm.